Most people rarely realise how a small office space affects productivity. 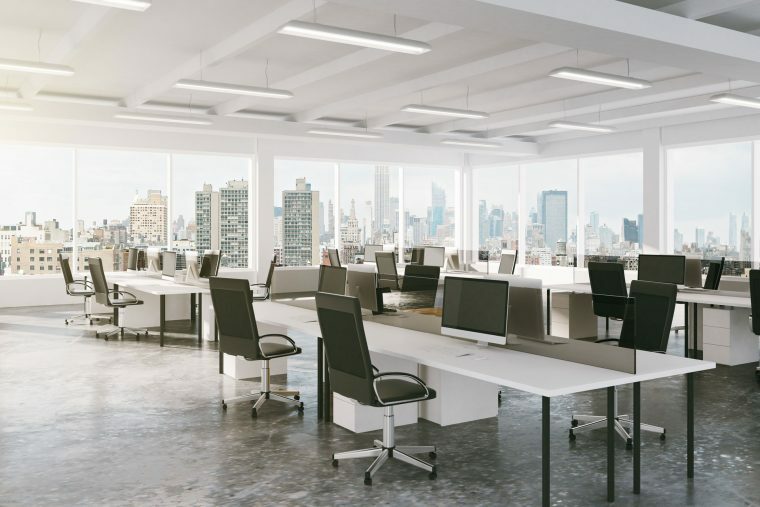 Unorganised workstations or even the slightest problems with the layout can disrupt office procedures and affect the overall performance of your staff. Who wants to work in a cramped office anyway? For a busy company, a small office space can easily become a cluttered mess. Paperwork, stationeries and sticky notes, and even those vacation photos you’ve put up as memorabilia can all pile up on your desk. They make it harder to move around and finish your work within schedule. Don’t let clutter take over your space. Sort those heaps of paper and dispose of all the junk on your desk. Colour psychology applies to the workplace just as much as it does anywhere else. Dark and bold colours can be aesthetically pleasing, but they can make the room appear smaller. Rather than using vibrant hues for your backdrop, use neutral colours for partitions and workstations. If you don’t want the space to appear too dull and plain, paint the trims with bold colours for accent. The problem with most companies is they limit their office design to ground space. In this case, think vertically. Instead of using bulky drawers or storage cabinets, install shelves on your walls or partitions. This will give you extra room to add low-ground furnishings in your workstation. Sometimes, maximising office space may only be a case of re-organising and smart designing. At The Caretakers, we’ve helped hundreds of companies make the best use of their small office space to boost productivity and enhance aesthetics. Contact us and find out how we can help you make your small office space bigger.